The Securities and Exchange Board of India (Sebi) is looking at whether Tata Sons’ plan of becoming a private limited company from a public one would impact shareholders, especially minority shareholders of listed Tata entities that own shares in Tata Sons. If the company were to become a private one there would be restrictions on these listed firms to sell or transfer their stake to any entity. Tata Sons shareholders had voted in favour of going private and the resolution was cleared with a majority during the annual general meeting (AGM) on September 21 last year. According to sources, the market regulator’s legal department is evaluating the rationale for favouring the company’s new structure despite knowing that it could impact the financial value that these firms receive at the time of selling shares. Five listed Tata group companies — Tata Steel, Tata Motors, Tata Chemicals, Tata Power, and Indian Hotels — own an 11.41 per cent stake in Tata Sons, according to the companies’ annual reports. 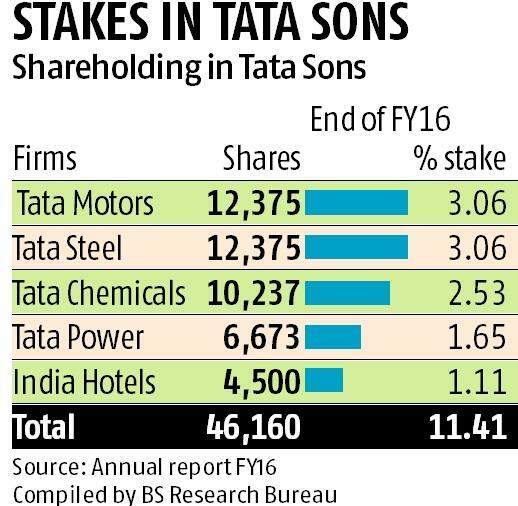 With a private limited status, listed firms would need to get Tata Sons’ board approval for selling shares. “As listed firms, these companies are custodian of shareholder value. These companies should act in the best interest of all shareholders,” said a person privy to the development. Emails sent to Sebi and Tata Sons remained unanswered. These companies also have large number of shareholders — for example, Tata Steel has over 700,000 shareholders, while Tata Motors has over 600,000. The market regulator is also said to be studying Tata Sons’ articles of association and the changes it had proposed during the AGM. Under the proposed new structure, as a private limited firm, the Tata group holding company would not need to make as many disclosures as it has to make now as a public one. Secondly, if it defaults in paying dividend for two or more years, its preference shareholders would get voting rights. Also, the company has proposed to amend the articles of association to adopt best governance practices. “Taking the company private can restrict the rights of the shareholders to freely sell or transfer shares. It may also curb the fund-raising options for the company. The status of a private firm will require Tata Sons’ board approval for even listed firms to execute any transaction of its shares. This could certainly affect the value of the shares,” said Sanjay Asher, senior partner, Crawford Bayley & Co. 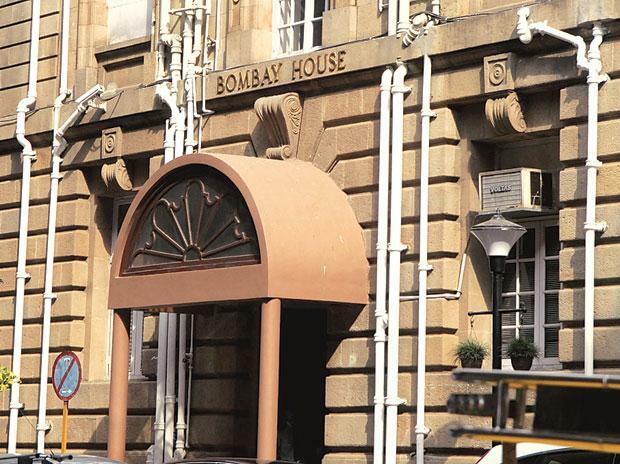 The Shapoorji Pallonji Mistry family, which has been a shareholder in Tata Sons from 1965, had also objected to the company’s bid to go private, saying the move would be detrimental to the interests of minority shareholders and also dilute governance standards at Tata Sons. The Mistry family, which owns 18.4 per cent in Tata Sons, had written to listed Tata group companies and also filed a petition before the National Company Law Tribunal (NCLT) against the move. Former Tata Sons chairman Cyrus Mistry, who was ousted from the company, has been involved in a bitter legal fight with the Tatas. From a governance point of view, Asher said that the status of private company may help Tata Sons avoiding incidents that have happened in the past. However, Mistry’s petition against the move may not be tenable as the restrictions would be across all shareholders and not just on Mistry companies’ shareholdings, Asher added. The Tata Trusts own 66 per cent stake in the company. Sources said that the regulator had also received complaints from shareholders of listed Tata companies sought its intervention as they believed the move was not in interest of minority shareholders. “When for so many years there was an opportunity to convert Tata Sons private, it wasn’t taken up. However, making it private limited at a time of shareholder dispute against the wishes of the minority shareholders, is definitely questionable,” said Shriram Subramanian, founder and MD, InGovern Research Services, a proxy advisory firm. At present, Tata Sons’ proposed new structure is pending before National Company Law Tribunal.